Hottest Young executive: Akhil Puri believes believes that "maturity matters more than age"
Seated comfortably in KKRs Indian office in Mumbai, the soft-spoken Akhil Puri is at peace with himself. In 2005, Akhil Puri (who was 30 then) was in-charge of electronics purchase division at General Motors (GM). His job involved purchasing, managing supply chain and quality for the Detroit-based automaker. A little over a year on, he was confronted with the news of a corrupted batch of silicon wafers - key components in microprocessor chips, which are integral parts of electrical systems in a car - in GM's factory in Taiwan. The consequences were damaging. It would have resulted in halting the production, costing the company billions of dollars. Puri, who was based in Detroit then, was soon in the thick of action. In the next two months, he worked relentlessly with a select team to avert a shutdown at any cost. Puri led a focused, cross-functional global team of engineers, vendors, logistics, sales & product, and plant personnel - to find creative ways to avoid any serious disruption to GM's plants globally. And he succeeded in keeping the production going by working with suppliers. "I always believed in putting stressed goal for myself," says Puri of his life mantra. Sitting comfortably in KKR's India office in central Mumbai, Puri, a soft-spoken man, is at peace with himself. It could partly be because of his interest in spiritualism. "I read a lot on spirituality," says Puri, who has a collection of hundreds of books on spirituality. This mechanical engineer from IIT Kharagpur has been a star performer. Puri joined Hindustan Unilever Ltd (then Hindustan Lever Ltd) as a project manager in 1998 and was later promoted as manufacturing manager. "I was sent to a village to set up a factory for the consumer major," says Puri. HLL was a good experience. 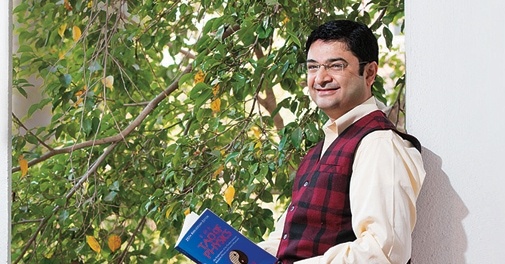 "I got exposure to work in a small village," says Puri, who opted for a Master's degree in International Management from the Thunderbird School of Global Management in 2000. "That gave me international exposure and also created a platform for me to work abroad," says a smiling Puri. After four successful years at HLL and upon receiving his MBA degree, Puri joined GM in 2002. At GM, he quickly moved up the ranks to become Executive Director (Global Purchasing and Supply Chain). Puri was responsible for leading a team to manage and deploy $13.5 billion across multiple countries. On working with global companies in different geographies, Puri says: "The US experience taught me to speak slowly and effectively. China and Vietnam taught me how to create influence by voice and also how to get the work done through influence without knowing the language." Puri joined KKR Capstone, an arm of the global private equity player KKR & Co, in August 2012. He works very closely with KKR's portfolio companies in India. "The idea is to help businesses maximise their potential," says Puri. Recently, he has had the opportunity to partner with the management of businesses across various sectors to implement initiatives such as service-level improvements, sales force effectiveness, supply chain optimisation, throughput and quality improvements. The range and scope of Puri's work underscores his focus on delivering operational value-add. KKR portfolio companies in India include Dalmia Cement, Magma Fincorp, TVS Logistics, Alliance Tire Group, Aricent, Avantha Power, CafÃ© Coffee Day, etc. KKR Capstone's engagements in the country include Dalmia Cement, Alliance Tire Group and supporting Go Daddy's business expansion. Prior to his current job, Puri had been a member of PE firm TPG Capital's operating team since 2008. At TPG, he was credited with supporting operational efforts across multiple portfolio companies in Indonesia, China, Singapore, Japan and India. Puri, who loves reading and going for daily walks with his wife, has maintained a good work-life balance. "You have to prioritise work. Things which are important need to be given immediate attention." And, does age matter to be a successful professional in the corporate world? Pat comes his reply: "Maturity matters more than the age." *An earlier version used an incorrect acronym for General Motors. That has been corrected. A typographical error in the second last line has also been rectified.